Easy afternoon hike at the feet of Sassolungo mountain with snack break at the beautiful Friedrich August Refuge where, after a short visit to their small animal farm, the cook will teach us how to make strudel and we could have a taste for a sweet snack in the panoramic terrace. Meeting point: 2.00 pm at Col Rodella cable car station cash desk in Campitello di Fassa. Expected return: about 5.30 pm Price: € 17 adults, € 12 children under 12 years. 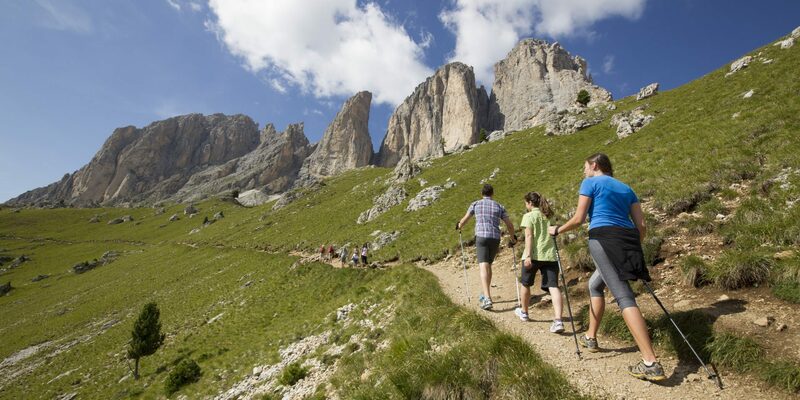 € 15 adults and € 10 children with Val di Fassa Card. Including small snack at the shelter. Summer Family Price: € 10 adults and € 5 children (7-14 years). Note: small children in the backpack for babies, Lift ticket included in the PanoramaPass or to be payed extra.